Whether you like to DJ on vinyl, controller or CDJs, it’s always good to have a USB stick with you anytime – to DJ on the go or even for backup. We covered the best USB format for CDJs on our last blog post but buying a good USB stick is not always easy. A good USB drive for DJs needs to be small, strong, fast and of course, have enough space for all those bangers you are planning to drop. Encased in a military-style aluminum housing that’s also waterproof to 200 meters, this Corsair USB will keep your music safe for years. CDJs only use the power & speed of USB 2.0 but the 3.0 will make a big difference when exporting your music from Rekordbox to the stick. It comes out in 16, 32, 128 and 258GB so whatever the size of your library you will be fine. Not the cheapest one, but what’s a few dollar for a stick you will keep years. The HyperX offers blazing fast speed of up to 350MB/s with a capacity of up to 256GB. 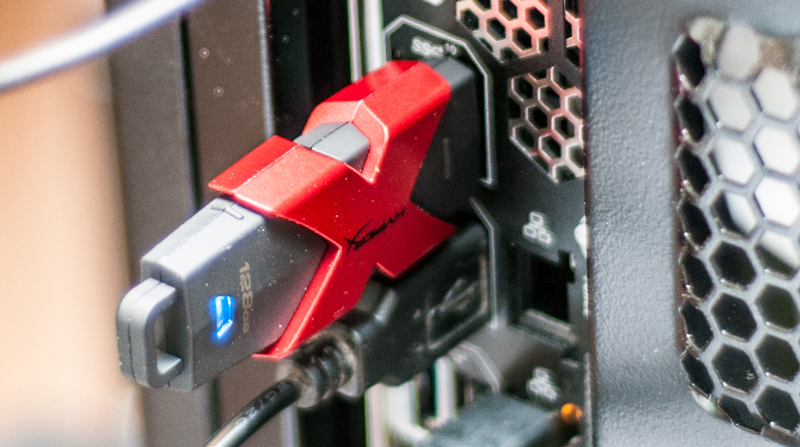 The most elegant USB drive of our ranking, but not the less reliable. The Samsung Bar is fast, strong and comes with a 5 years warranty. It comes in either 128 or 256GB, is one of the fastest we tested and our best pick for medium budget DJ USB. Only 32GB but very durable and fast enough. It’s one of the smallest USB out there but it’s still fast as hell with a storage capacity of up to 218GB. Perfect for a DJ wanting to have his entire music library in their pocket at all time!